This is intriguing but I am going to try this soon! The texture of the base looks like a good pizzeria base! 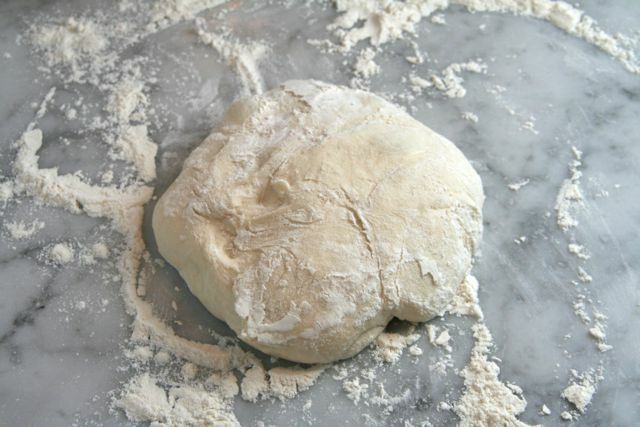 Ok, so I’ve got my pizza dough recipe that has always worked for me, but I love the idea of proofing the dough for 48 hours, so I’ll definitely be trying this method some time soon! I had the same situation, although I am going to have to say that I now prefer this new dough recipe! I have made it several times already 🙂 I will try using half whole wheat flour next time… hope it is just as tender! wow, it looks like all the labor behind making a good pizza base is worth it. What a lovely, detailed instruction! I need to muster the courage to try it! It is actually really simple- the instructions are just very specific. Totally worth it! Very helpful to have the instructions on how to shape the dough, now I see why my last pizza was just beastly, I pushed it out, and in and out and in and . . . you get the picture. You got this pizza so nicely thin, it just looks so authentic and wonderful! I read about this very cookbook just yesterday, thank you! I wanted to make every pizza in this cookbook (well, almost! )- but I had to start with my favorite type. The dough is really good. 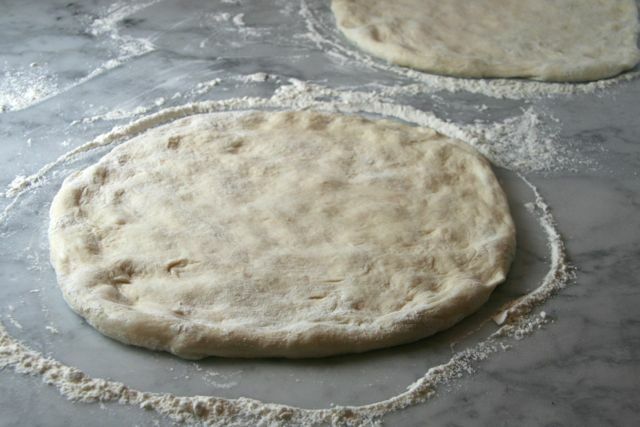 I make TONS of pizza and I always used a rolling pin…. this method does take a little bit longer but the results are worth it. I have done it a few times now- great! Can you twirl and flip????? Now wouldn’t that be a fun addition to FF? A video of Brookcook doing wizardry with the pizza crust!!!!! When I lived in Chicago, I thought that there was nothing better than Chicago style pizza… now that I live in NY, I’ve “seen the light” 🙂 It really is the best!